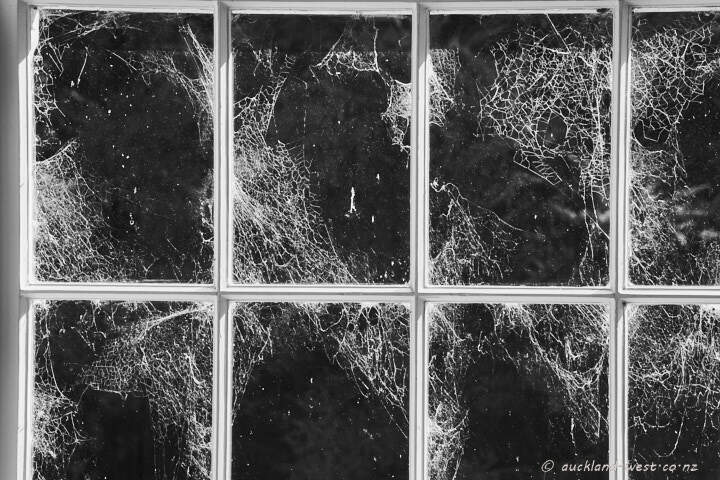 Cobwebs in a window at Lopdell House, Titirangi, catching the morning sun. First make dust — then let it settle! 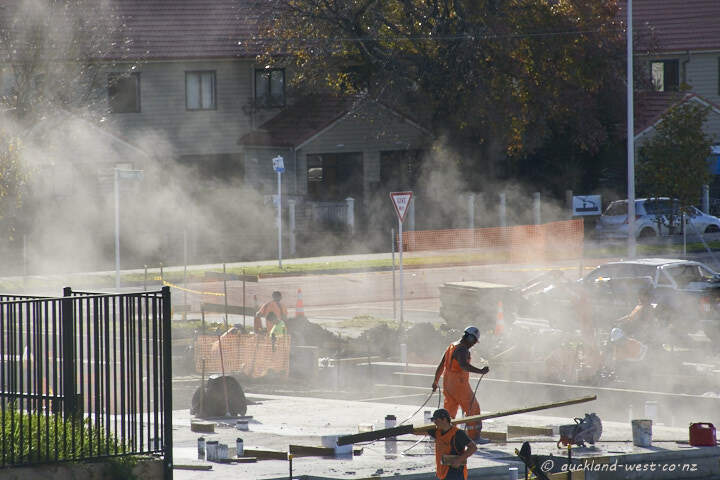 Concrete cutters produce both, noise and dust. Then it’s time to dowse with water. The West Edge housing development in Rankin Road is under way. 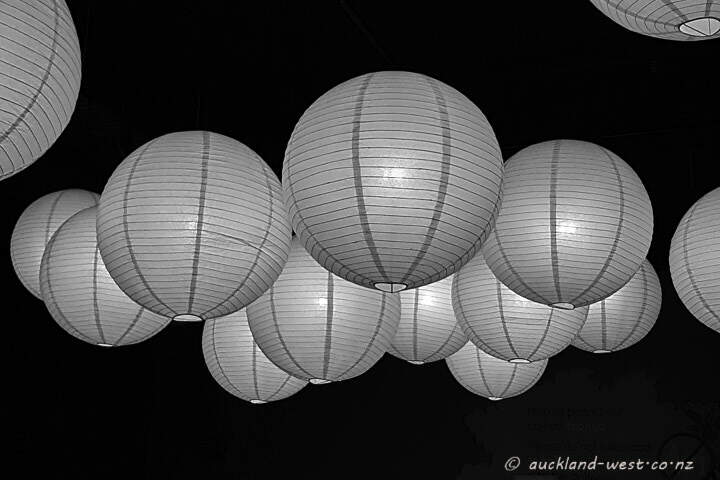 Rice paper lamps at the Auckland Museum. At NorthWest Shopping Centre, Massey. 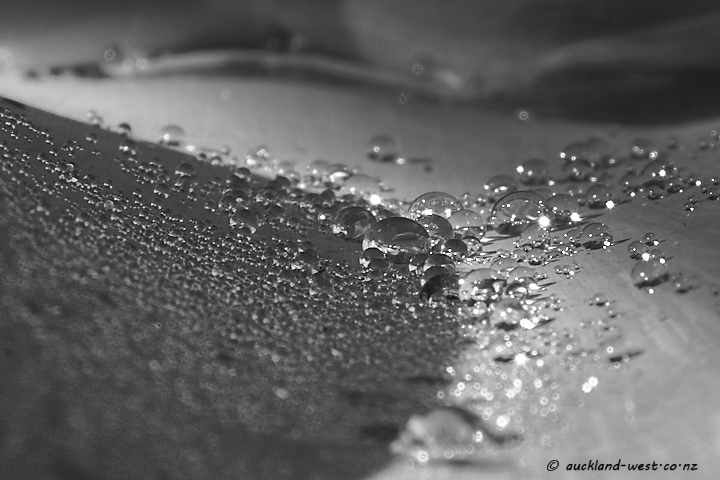 Morning dew on an aloe leaf. Corner New North and Blockhouse Bay Roads. 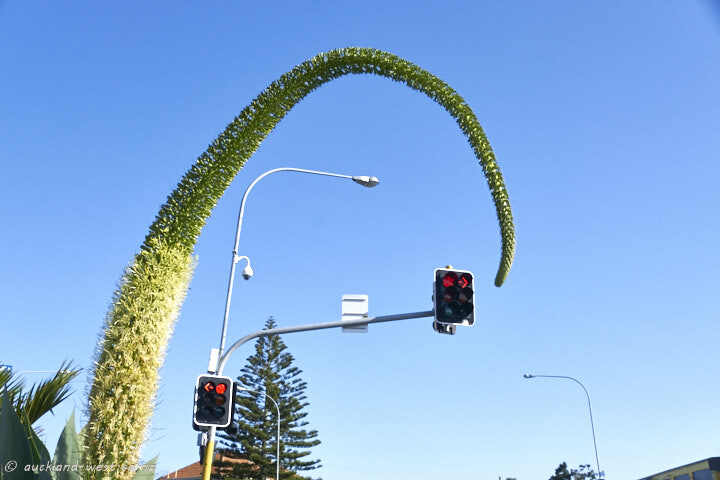 Framed by Agave attenuata in flower. 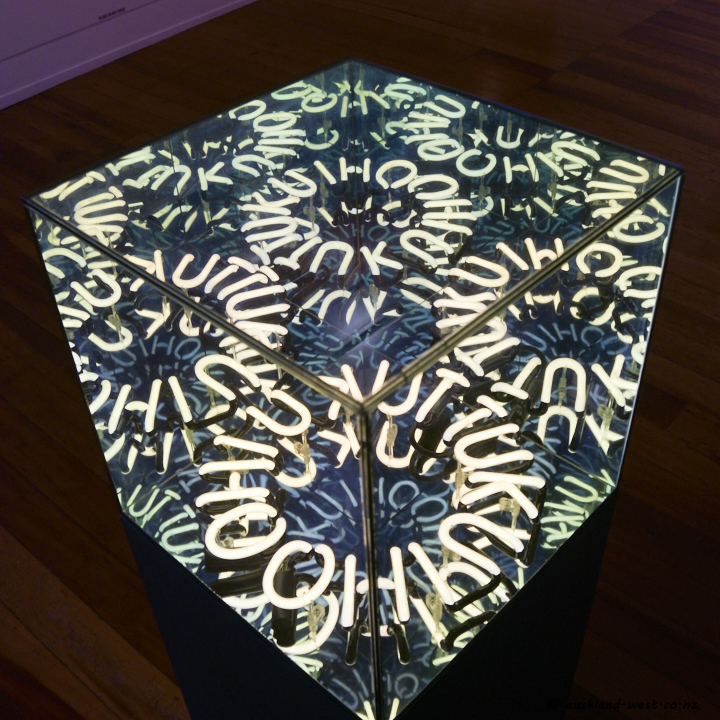 A cube of one-way mirror glass and neon letters by Robert Jahnke at Corban Estate Arts Centre in their exhibition “Nga aho taruarua” (on until July 17, 2016). Neon and one way mirrored glass are utilised in Tuku Iho (2015), resulting in a repetition of words that appears infinite and disappears into a void of darkness. The work captures the Maori notion of the emergence of the world of light from the darkness of Te Po. 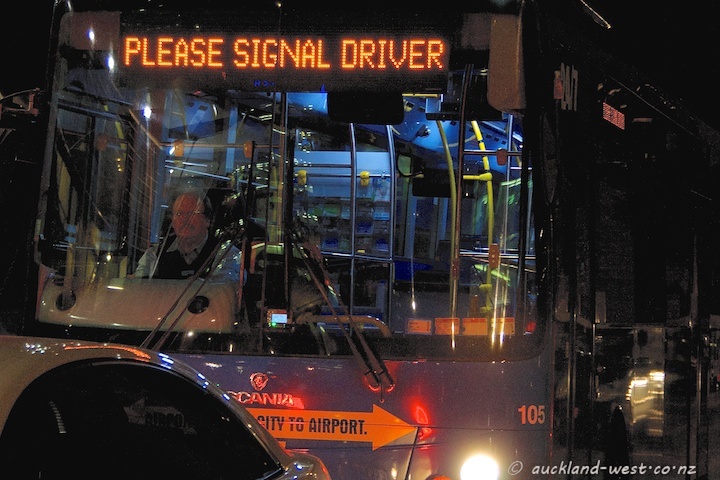 Jahnke says the words can be translated as ‘to bequeath,’ conveying the Maori concept of eternity; “it is an expression that is often associated with taonga – taonga tuku iho -referring to a treasured or prized possession handed down to the current generation by ancestors”. 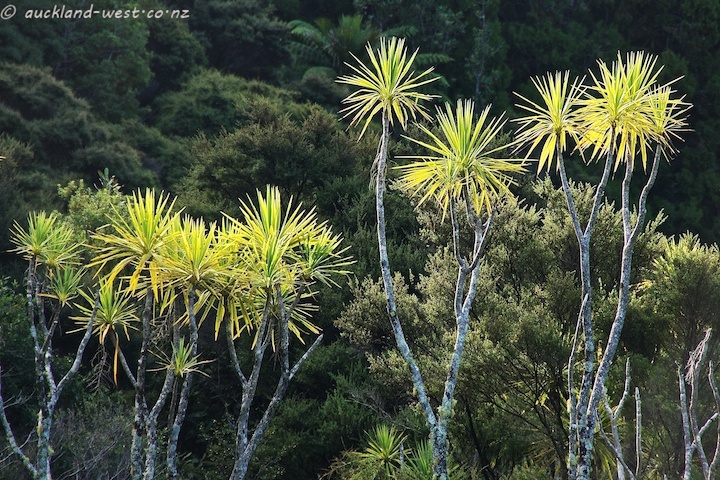 A stand of cabbage trees reaching up to catch the sun before it sets behind the ridge. Near Lower Huia Dam. 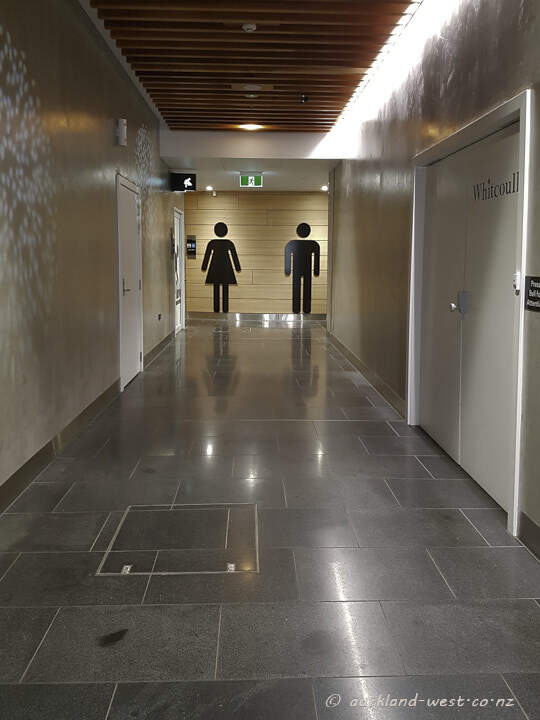 At the beginning of the month, Lopdell House opened its doors to show the refurbished facilities. 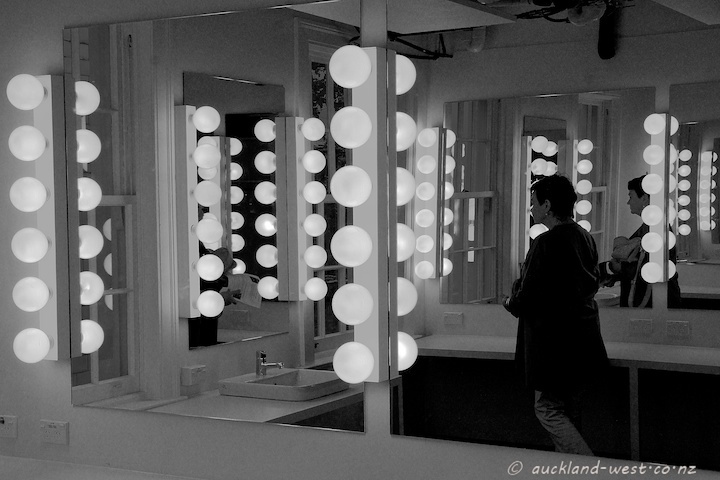 While the theatre was not quite ready, the green room was resplendent with smoke and mirrors and lamps, enough to get lost in.